Nationwide Arena to Host Showcase of Top High School Girls’ Volleyball Players in U.S. 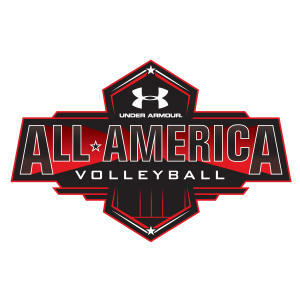 The American Volleyball Coaches Association (AVCA) is proud to announce the rosters for the Under Armour All-America Match & Skills Competition. The event will take place at Nationwide Arena in Columbus on December 16 at 8:00 p.m. ET, the day in between the NCAA Division I Women’s Volleyball Semifinals and National Championship. The match will also be on television on CBS Sports Network the following day at 11:00 am ET. Tickets are $10 each at the Nationwide Arena box office which will have an overall reduced price versus tickets purchased through Ticketmaster, where additional service fees will apply. For groups of 10 or more, the ticket price will be reduced to $5 per ticket. You must contact the Nationwide box office to get the group discount. Some of the participants on the rosters have ties to Central Ohio and the State of Ohio overall. Two players on Team East will play next season for Ohio State in Mentor, OH native Lauren Witte and Ayanna Swan from Richmond, VA. One player from Team West, Jamye Cox is a Toledo, OH native and will play for Michigan State in the 2017 season. In addition, Jeni Case, the head coach for Team East, coaches at Ursuline Academy in Cincinnati, OH. In addition to the AVCA Under Armour All-America Match and Skills Competition, the American Volleyball Coaches Association will host their Annual Convention in Columbus. The convention will be attended by over 2,600 coaches and exhibitors, representing close to 5,000 total room nights alone. It will also utilize more than 300,000 square feet at the Greater Columbus Convention Center for meetings and exhibit show.